What are some Vitamin E Benefits on Health ? How much vitamin E do you need ? What foods provide vitamin E ? Are you getting enough vitamin E ? What happens if you don’t get enough vitamin E ? Can vitamin E be harmful ? Vitamin E is a fat-soluble nutrient found in many foods, added to others, and available as a dietary supplement. “Vitamin E” is the collective name for a group of fat-soluble compounds with distinctive antioxidant activities 1). Naturally occurring vitamin E exists in eight chemical forms (alpha-, beta-, gamma-, and delta-tocopherol and alpha-, beta-, gamma-, and delta-tocotrienol) that have varying levels of biological activity 2). Alpha- (or α-) tocopherol is the only form that is recognized to meet human requirements, but beta-, gamma-, and delta-tocopherols, 4 tocotrienols, and several stereoisomers may also have important biologic activity. These compounds act as antioxidants, which prevent lipid peroxidation of polyunsaturated fatty acids in cellular membranes 3). Serum concentrations of vitamin E (alpha-tocopherol) depend on the liver, which takes up the nutrient after the various forms are absorbed from the small intestine. The liver preferentially resecretes only alpha-tocopherol via the hepatic alpha-tocopherol transfer protein 4); the liver metabolizes and excretes the other vitamin E forms 5). As a result, blood and cellular concentrations of other forms of vitamin E are lower than those of alpha-tocopherol and have been the subjects of less research 6), 7). Plasma tocopherol levels vary with total plasma lipid levels. Normally, the plasma alpha-tocopherol level is 5 to 20 mcg/mL (11.6 to 46.4 mcmol/L) 8). Antioxidants protect cells from the damaging effects of free radicals, which are molecules that contain an unshared electron. Free radicals damage cells and might contribute to the development of cardiovascular disease and cancer 9). Unshared electrons are highly energetic and react rapidly with oxygen to form reactive oxygen species. The body forms reactive oxygen species endogenously when it converts food to energy, and antioxidants might protect cells from the damaging effects of reactive oxygen species. The body is also exposed to free radicals from environmental exposures, such as cigarette smoke, air pollution, and ultraviolet radiation from the sun. Reactive oxygen species are part of signaling mechanisms among cells. In addition to its activities as an antioxidant, vitamin E is involved in immune function and, as shown primarily by in vitro studies of cells, cell signaling, regulation of gene expression, and other metabolic processes 10). Alpha-tocopherol inhibits the activity of protein kinase C, an enzyme involved in cell proliferation and differentiation in smooth muscle cells, platelets, and monocytes 11). Vitamin-E–replete endothelial cells lining the interior surface of blood vessels are better able to resist blood-cell components adhering to this surface. Vitamin E also increases the expression of two enzymes that suppress arachidonic acid metabolism, thereby increasing the release of prostacyclin from the endothelium, which, in turn, dilates blood vessels and inhibits platelet aggregation 12). Supplements of vitamin E typically provide only alpha-tocopherol, although “mixed” products containing other tocopherols and even tocotrienols are available. Naturally occurring alpha-tocopherol exists in one stereoisomeric form. In contrast, synthetically produced alpha-tocopherol contains equal amounts of its eight possible stereoisomers; serum and tissues maintain only four of these stereoisomers 13). A given amount of synthetic alpha-tocopherol (all rac-alpha-tocopherol; commonly labeled as “DL” or “dl”) is therefore only half as active as the same amount (by weight in mg) of the natural form (RRR-alpha-tocopherol; commonly labeled as “D” or “d”). People need approximately 50% more IU of synthetic alpha tocopherol from dietary supplements and fortified foods to obtain the same amount of the nutrient as from the natural form. Most vitamin-E-only supplements provide ≥100 IU of the nutrient. These amounts are substantially higher than the recommended dietary allowances. The 1999–2000 National Health and Nutrition Examination Survey (NHANES) found that 11.3% of adults took vitamin E supplements containing at least 400 IU 14). Alpha-tocopherol in dietary supplements and fortified foods is often esterified to prolong its shelf life while protecting its antioxidant properties. The body hydrolyzes and absorbs these esters (alpha-tocopheryl acetate and succinate) as efficiently as alpha-tocopherol 15). Many people believe that there are special healing qualities to vitamin E on skin. Anecdotal reports claim that vitamin E speeds wound healing and improves the cosmetic outcome of burns and other wounds. Many lay people use vitamin E on a regular basis to improve the outcome of scars and several physicians recommend topical vitamin E after skin surgery or resurfacing. In a very small double blinded clinical trial 16) with 15 patients who had undergone skin cancer removal surgery. After the surgery, the patients were given two ointments each labeled A or B. A was a regular emollient, and the B was emollient mixed with vitamin E. The scars were randomly divided into parts A and B. Patients were asked to put the A ointment on part A and the B ointment on part B twice daily for 4 weeks. The physicians, a third blinded investigator and the patients independently evaluated the scars for cosmetic appearance on weeks 1, 4, and 12. The results of this study show that topically applied vitamin E does not help in improving the cosmetic appearance of scars and that the application of topical vitamin E may actually be detrimental to the cosmetic appearance of a scar. In 90% of the cases in this study, topical vitamin E either had no effect on, or actually worsened, the cosmetic appearance of scars. Of the patients studied, 33% developed a contact dermatitis to the vitamin E. Therefore the researchers conclude that use of topical vitamin E on surgical wounds should be discouraged 17). Scientists are studying vitamin E to understand how it affects health. Here are several examples of what this research has shown. Many claims have been made about vitamin E’s potential to promote health and prevent and treat disease. The mechanisms by which vitamin E might provide this protection include its function as an antioxidant and its roles in anti-inflammatory processes, inhibition of platelet aggregation, and immune enhancement. A primary barrier to characterizing the roles of vitamin E in health is the lack of validated biomarkers for vitamin E intake and status to help relate intakes to valid predictors of clinical outcomes 18). For a time, vitamin E supplements looked like an easy way to prevent heart disease. Promising observational studies, including the Nurses’ Health Study 19) and Health Professionals Follow-Up Study 20), suggested 20 to 40 percent reductions in coronary heart disease risk among individuals who took vitamin E supplements (usually containing 400 IU or more) for least two years 21). It’s possible that in people who already have heart disease or are high risk of heart disease, the use of drugs such as aspirin, beta blockers, and ACE inhibitors mask a modest effect of vitamin E, and that vitamin E may have benefits among healthier people. But large randomized controlled trials of vitamin E supplementation in healthy women and men have yielded mixed results. In the Women’s Health Study, which followed 40,000 women for 10 years, vitamin E supplements of 600 IU every other day did not significantly reduce the risk of so-called “major cardiac events” (heart attack, stroke, or cardiovascular death). But there was some encouraging news in the findings: When these major cardiac events were analyzed separately, vitamin E supplementation was linked to a 24 percent lower risk of cardiovascular death 27). And among women ages 65 and older, vitamin E supplementation reduced the risk of major cardiac events by 26 percent. A later analysis found that women who took the vitamin E supplements also had a lower risk of developing serious blood clots in the legs and lungs, with women at the highest risk of such blood clots receiving the greatest benefit 28). Other heart disease prevention trials in healthy people have not been as promising, however. The SU.VI.MAX trial found that seven years of low-dose vitamin E supplementation (as part of a daily antioxidant pill) reduced the risk of cancer and the risk of dying from any cause in men, but did not show these beneficial effects in women; the supplements did not offer any protection against heart disease in men or women 29). Discouraging results have also come from the Physicians’ Health Study II, an eight-year trial that involved nearly 15,000 middle-aged men, most of whom were free of heart disease at the start of the study. Researchers found that taking vitamin E supplements of 400 IU every other day, alone or with vitamin C, failed to offer any protection against heart attacks, strokes, or cardiovascular deaths 30). More recent evidence suggests that vitamin E may have potential benefits only in certain subgroups of the general population: A trial of high dose vitamin E in Israel, for example, showed a marked reduction in coronary heart disease among people with type 2 diabetes who have a common genetic predisposition for greater oxidative stress 31). So we certainly have not heard the last word on vitamin E and heart disease prevention. In general, clinical trials have not provided evidence that routine use of vitamin E supplements prevents cardiovascular disease or reduces its morbidity and mortality. However, participants in these studies have been largely middle-aged or elderly individuals with demonstrated heart disease or risk factors for heart disease. Some researchers have suggested that understanding the potential utility of vitamin E in preventing CHD might require longer studies in younger participants taking higher doses of the supplement 32). Further research is needed to determine whether supplemental vitamin E has any protective value for younger, healthier people at no obvious risk of cardiovascular disease. Antioxidant nutrients like vitamin E protect cell constituents from the damaging effects of free radicals that, if unchecked, might contribute to cancer development. 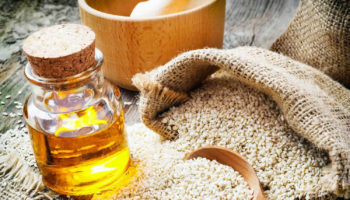 Vitamin E might also block the formation of carcinogenic nitrosamines formed in the stomach from nitrites in foods and protect against cancer by enhancing immune function 33). The story on vitamin E and cancer prevention has been a bit less encouraging than the story on vitamin E and heart disease. Taken as a whole, observational studies have not found vitamin E in food or supplements to offer much protection against cancer in general, or against specific cancers 34), 35), 36), 37), 38), 39), 40), 41), 42), 43). Some observational studies and clinical trials, however, suggested that vitamin E supplements might lower the risk of advanced prostate cancer in smokers 44), 45), 46), 47). Investigators had hoped that the Selenium and Vitamin E Cancer Prevention Trial (SELECT) would give more definitive answers on vitamin E and prostate cancer. SELECT’s 18,000 men were assigned to follow one of four pill regimens—vitamin E plus selenium, vitamin E plus a selenium placebo, selenium plus a vitamin E placebo, or a double placebo—and were supposed to be tracked for 7 to 12 years. But investigators halted the study halfway though, in 2008, when early analyses showed that vitamin E offered no cancer or prostate cancer prevention benefit 48). Though the trial ended, researchers continued to follow the men who had participated. In 2011, they reported a 17 percent higher risk of prostate cancer among men assigned to take vitamin E; there was no significant increased risk of prostate cancer among men who took vitamin E and selenium 49). The additional 2011 data show that the men who took vitamin E alone had a 17 percent relative increase in numbers of prostate cancers compared to men on placebo. This difference in prostate cancer incidence between the vitamin E only group and the placebos only group is now statistically significant, and not likely to be due to chance 50). Though these results, on the face of it, sound worrisome, two other major trials of vitamin E and prostate cancer had quite different results: The Alpha Tocopherol Beta Carotene (ATBC) randomized trial, for example, followed nearly 30,000 Finnish male smokers for an average of six years 51). It found that men assigned to take daily vitamin E supplements had a 32 percent lower risk of developing prostate cancer—and a 41 percent lower risk of dying from prostate cancer—than men given a placebo. However, there are many reasons why the vitamin E supplements may not have prevented prostate cancer. Two of the most likely reasons, looking back at the Alpha-Tocopherol Beta Carotene (ATBC) Cancer Prevention trial, a study designed to test vitamin E and beta carotene for lung cancer prevention in smokers 52). 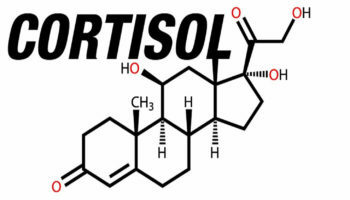 In the The Alpha Tocopherol Beta Carotene trial, a reduction in prostate cancer incidence was observed, but this secondary finding may have been due to chance, as the study was not designed to determine prostate cancer risk 53). Another possible reason that men in ATBC had a reduction in prostate cancer incidence, while men on SELECT did not, is that the dose of vitamin E used in SELECT (400 IU/day) was higher than the dose used in the ATBC (50 IU/day) 54). Researchers sometimes talk about a “U-shaped response curve” where very low or very high blood levels of a nutrient are harmful but more moderate levels are beneficial; while the ATBC dose may have been preventive, the SELECT dose may have been too large to have a prevention benefit 55). The large and long-term Physicians’ Health Study II trial, meanwhile, found that vitamin E supplements had no effect on the risk of prostate cancer or any other cancer 56). Bear in mind that prostate cancer develops slowly, and any study looking at prostate cancer prevention needs to track men for a long time. By stopping the SELECT trial early, there’s no way to tell if vitamin E could have helped protect against prostate cancer in some men if they had continued the trial over a longer period of time. Very few cases in the SELECT Trial were of advanced prostate cancer, further limiting the interpretation of the findings. Should men take vitamin E or selenium supplements for cancer prevention ? No. Scientists do not understand how these supplements really work and more importantly, the interactions that these supplements have together or with foods, drugs, or other supplements. There are no clinical trials that show a benefit from taking vitamin E or selenium to reduce the risk of prostate cancer or any other cancer or heart disease 57), 58), 59), 60), 61), 62). While the men in SELECT who took both vitamin E and selenium did not have a statistically significant increase in their risk for prostate cancer, they also did not have a reduced risk of prostate cancer or any other cancer or heart disease. SELECT researchers were surprised by the findings in the men who took both vitamin E and selenium, and while the 2014 analysis suggests possible reasons for the findings, the mechanism remains unclear 63). Evidence to date is insufficient to support taking vitamin E to prevent cancer. In fact, daily use of large-dose vitamin E supplements (400 IU) may increase the risk of prostate cancer 64). Age-related macular degeneration (AMD) and cataracts are among the most common causes of significant vision loss in older people. Their etiologies are usually unknown, but the cumulative effects of oxidative stress have been postulated to play a role. If so, nutrients with antioxidant functions, such as vitamin E, could be used to prevent or treat these conditions. A six-year trial found that vitamin E, in combination with vitamin C, beta carotene, and zinc, offers some protection against the development of advanced age-related macular degeneration (AMD), but not cataract, in people who were at high risk of the disease 65), 66). On its own, however, vitamin E does not seem to offer much benefit against either AMD or cataract 67), 68). Overall, the available evidence is inconsistent with respect to whether vitamin E supplements, taken alone or in combination with other antioxidants, can reduce the risk of developing AMD or cataracts. However, the formulations of vitamin E, other antioxidants, zinc, and copper used in AREDS hold promise for slowing the progression of AMD in people at high risk of developing advanced AMD. The brain has a high oxygen consumption rate and abundant polyunsaturated fatty acids in the neuronal cell membranes. Researchers hypothesize that if cumulative free-radical damage to neurons over time contributes to cognitive decline and neurodegenerative diseases, such as Alzheimer’s disease, then ingestion of sufficient or supplemental antioxidants (such as vitamin E) might provide some protection 69). This hypothesis was supported by the results of a clinical trial in 341 patients with Alzheimer’s disease of moderate severity who were randomly assigned to receive a placebo, vitamin E (2,000 IU/day dl-alpha-tocopherol), a monoamine oxidase inhibitor (selegiline), or vitamin E and selegiline 70). Over 2 years, treatment with vitamin E and selegiline, separately or together, significantly delayed functional deterioration and the need for institutionalization compared to placebo. However, participants taking vitamin E experienced significantly more falls. Scientists seeking to untangle the causes of Alzheimer’s, Parkinson’s, and other diseases of the brain and nervous system have focused on the role that free radical damage plays in these diseases’ development 71). But to date, there is little evidence as to whether vitamin E can help protect against these diseases or that it offers any benefit to people who already have these diseases. Some prospective studies suggest that vitamin E supplements, particularly in combination with vitamin C, may be associated with small improvements in cognitive function or lowered risk of Alzheimer’s disease and other forms of dementia, while other studies have failed to find any such benefit 72), 73), 74), 75). A three-year randomized controlled trial in people with mild cognitive impairment—often a precursor to Alzheimer’s disease—found that taking 2,000 IU of vitamin E daily failed to slow the progression to Alzheimer’s disease 76). Keep in mind, however, that the progression from mild cognitive impairment to Alzheimer’s disease can take many years, and this study was fairly short, so it is probably not the last word on vitamin E and dementia. Some, but not all, prospective studies suggest that getting higher intakes of vitamin E from diet—not from high-dose supplements—is associated with a reduced risk of Parkinson’s disease 77), 78), 79). In people who already have Parkinson’s, high-dose vitamin E supplements do not slow the disease’s progression 80). Why the difference between vitamin E from foods versus that from supplements ? It’s possible that foods rich in vitamin E, such as nuts or legumes, contain other nutrients that protect against Parkinson’s disease. More research is needed. One large prospective study that followed nearly 1 million people for up to 16 years found that people who regularly took vitamin E supplements had a lower risk of dying from ALS than people who never took vitamin E supplements 81). More recently, a combined analysis of multiple studies with more than 1 million participants found that the longer people used vitamin E supplements, the lower their risk of ALS 82). Clinical trials of vitamin E supplements in people who already have ALS have generally failed to show any benefit, however 83). This may be a situation where vitamin E is beneficial for prevention, rather than treatment, but more research is needed. 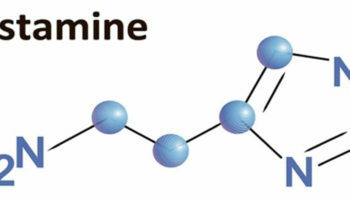 The FNB’s vitamin E recommendations are for alpha-tocopherol alone, the only form maintained in plasma. The FNB based these recommendations primarily on serum levels of the nutrient that provide adequate protection in a test measuring the survival of erythrocytes when exposed to hydrogen peroxide, a free radical. 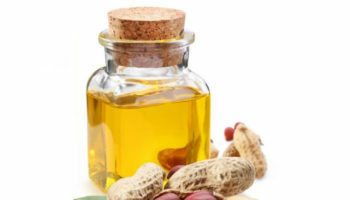 Acknowledging “great uncertainties” in these data, the FNB has called for research to identify other biomarkers for assessing vitamin E requirements. RDAs for vitamin E are provided in milligrams (mg) and are listed in Table 1. Because insufficient data are available to develop RDAs for infants, AIs were developed based on the amount of vitamin E consumed by healthy breastfed babies. 1 mg of alpha-tocopherol is equivalent to 1.49 IU of the natural form or 2.22 IU of the synthetic form. 1 IU of the natural form is equivalent to 0.67 mg of alpha-tocopherol. 1 IU of the synthetic form is equivalent to 0.45 mg of alpha-tocopherol. Table 1 lists the RDAs for alpha-tocopherol in both mg and IU of the natural form; for example, 15 mg x 1.49 IU/mg = 22.4 IU. The corresponding value for synthetic alpha-tocopherol would be 33.3 IU (15 mg x 2.22 IU/mg). The amount of vitamin E you need each day depends on your age. Average daily recommended intakes are listed below in milligrams (mg) and in International Units (IU). Package labels list the amount of vitamin E in foods and dietary supplements in IU. Numerous foods provide vitamin E. Nuts, seeds, and vegetable oils are among the best sources of alpha-tocopherol, and significant amounts are available in green leafy vegetables and fortified cereals (see Table 2 for a more detailed list) 85). Most vitamin E in American diets is in the form of gamma-tocopherol from soybean, canola, corn, and other vegetable oils and food products 86). The U.S. Department of Agriculture’s (USDA’s) Nutrient Database website 87) lists the nutrient content of many foods, including, in some cases, the amounts of alpha-, beta-, gamma-, and delta-tocopherol arranged by nutrient content 88) and by food name 89). Vitamin E from natural (food) sources is commonly listed as “d-alpha-tocopherol” on food packaging and supplement labels. Synthetic (laboratory-made) vitamin E is commonly listed as “dl-alpha-tocopherol”. The natural form is more potent. For example, 100 IU of natural vitamin E is equal to about 150 IU of the synthetic form. Some vitamin E supplements provide other forms of the vitamin, such as gamma-tocopherol, tocotrienols, and mixed tocopherols. Scientists do not know if any of these forms are superior to alpha-tocopherol in supplements. The diets of most Americans provide less than the recommended amounts of vitamin E. Nevertheless, healthy people rarely show any clear signs that they are not getting enough vitamin E. The FNB suggests that mean intakes of vitamin E among healthy adults are probably higher than the RDA but cautions that low-fat diets might provide insufficient amounts unless people make their food choices carefully by, for example, increasing their intakes of nuts, seeds, fruits, and vegetables. Vitamin E deficiency is very rare in healthy people. 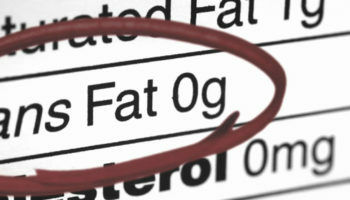 It is almost always linked to certain diseases where fat is not properly digested or absorbed. Examples include Crohn’s disease, cystic fibrosis, and certain rare genetic diseases such as abetalipoproteinemia and ataxia with vitamin E deficiency (AVED). Vitamin E needs some fat for the digestive system to absorb it. Dietary vitamin E deficiency is common in developing countries; deficiency among adults in developed countries is uncommon and usually due to fat malabsorption 91). Premature babies of very low birth weight (<1,500 grams) might be deficient in vitamin E. Vitamin E supplementation in these infants might reduce the risk of some complications, such as those affecting the retina, but they can also increase the risk of infections 92). Because the digestive tract requires fat to absorb vitamin E, people with fat-malabsorption disorders are more likely to become deficient than people without such disorders. Deficiency symptoms include peripheral neuropathy, ataxia, skeletal myopathy, retinopathy, and impairment of the immune response 93), 94). People with Crohn’s disease, cystic fibrosis, or an inability to secrete bile from the liver into the digestive tract, for example, often pass greasy stools or have chronic diarrhea; as a result, they sometimes require water-soluble forms of vitamin E, such as tocopheryl polyethylene glycol-1000 succinate 95). Some people with abetalipoproteinemia, a rare inherited disorder resulting in poor absorption of dietary fat, require enormous doses of supplemental vitamin E (approximately 100 mg/kg or 5–10 g/day) 96). 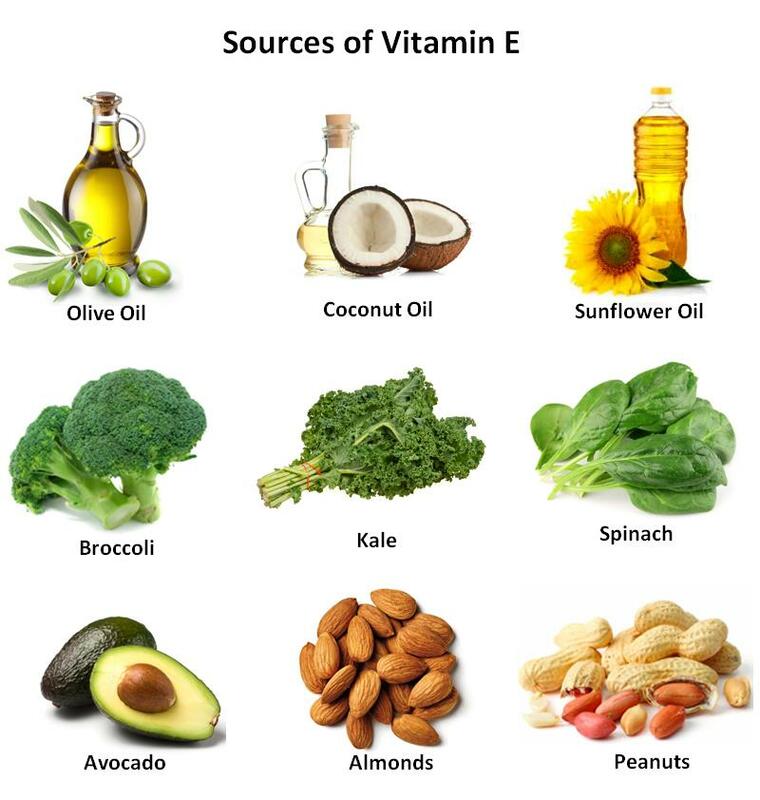 Vitamin E deficiency secondary to abetalipoproteinemia causes such problems as poor transmission of nerve impulses, muscle weakness, and retinal degeneration that leads to blindness 97). Ataxia and vitamin E deficiency (AVED) is another rare, inherited disorder in which the liver’s alpha-tocopherol transfer protein is defective or absent. People with AVED have such severe vitamin E deficiency that they develop nerve damage and lose the ability to walk unless they take large doses of supplemental vitamin E 98). Vitamin E deficiency causes fragility of RBCs and degeneration of neurons, particularly peripheral axons and posterior column neurons. The main symptoms of vitamin E deficiency are hemolytic anemia and neurologic deficits. Diagnosis is based on measuring the ratio of plasma alpha-tocopherol to total plasma lipids; a low ratio suggests vitamin E deficiency. Treatment consists of oral vitamin E, given in high doses if there are neurologic deficits or if deficiency results from malabsorption. Research has not found any adverse effects from consuming vitamin E in food 99). However, high doses of alpha-tocopherol supplements can cause hemorrhage and interrupt blood coagulation in animals, and in vitro data suggest that high doses inhibit platelet aggregation. Two clinical trials have found an increased risk of hemorrhagic stroke in participants taking alpha-tocopherol; one trial included Finnish male smokers who consumed 50 mg/day for an average of 6 years 100) and the other trial involved a large group of male physicians in the United States who consumed 400 IU every other day for 8 years 101). Because the majority of physicians in the latter study were also taking aspirin, this finding could indicate that vitamin E has a tendency to cause bleeding. The Food and Nutrition Board has established Upper Intake Levels (ULs) for vitamin E based on the potential for hemorrhagic effects (see Table 3). The ULs apply to all forms of supplemental alpha-tocopherol, including the eight stereoisomers present in synthetic vitamin E. Doses of up to 1,000 mg/day (1,500 IU/day of the natural form or 1,100 IU/day of the synthetic form) in adults appear to be safe, although the data are limited and based on small groups of people taking at least 2,000 IU for a few weeks or months. Long-term intakes above the UL increase the risk of adverse health effects 102). Vitamin E ULs for infants have not been established. Eating vitamin E in foods is not risky or harmful. In supplement form, however, high doses of vitamin E might increase the risk of bleeding (by reducing the blood’s ability to form clots after a cut or injury) and of serious bleeding in the brain (known as hemorrhagic stroke). Because of this risk, the upper limit for adults is 1,500 IU/day for supplements made from the natural form of vitamin E and 1,100 IU/day for supplements made from synthetic vitamin E. The upper limits for children are lower than those for adults. Some research suggests that taking vitamin E supplements even below these upper limits might cause harm. In one study, for example, men who took 400 IU of vitamin E each day for several years had an increased risk of prostate cancer. 1, 2, 4, 10. ↵ Traber MG. Vitamin E. In: Shils ME, Shike M, Ross AC, Caballero B, Cousins R, eds. Modern Nutrition in Health and Disease. 10th ed. Baltimore, MD: Lippincott Williams & Wilkins, 2006;396-411. 6. ↵ Sen CK, Khanna S, Roy S. Tocotrienols: vitamin E beyond tocopherols. Life Sci 2006;78:2088-98. Sen CK, Khanna S, Roy S. Tocotrienols: vitamin E beyond tocopherols. Life Sci 2006;78:2088-98. 9. ↵ Verhagen H, Buijsse B, Jansen E, Bueno-de-Mesquita B. The state of antioxidant affairs. Nutr Today 2006;41:244-50. 52. ↵ Sesso HD, Buring JE, Christen WG, et al. Vitamins E and C in the prevention of cardiovascular disease in men: the Physicians’ Health Study II randomized controlled trial. JAMA. 2008; 300(18):2123-33. 57. ↵ Lippman SM, Klein EA, Goodman PJ, et al. Effect of selenium and vitamin E on risk of prostate cancer and other cancers. JAMA 2009; 301(1). Published online December 9, 2008. Print edition January 2009. 58. ↵ EA Klein, IM Thompson, CM Tangen, et al. Vitamin E and the Risk of Prostate Cancer: Results of The Selenium and Vitamin E Cancer Prevention Trial (SELECT). JAMA 2011; 306(14) 1549-1556. 59. ↵ Heinonen OP, Albanes D, Virtamo J, et al. Prostate cancer and supplementation with alpha-tocopherol and beta-carotene: Incidence and mortality in a controlled trial. JNCI 1998; 90(6):440-446. 60. ↵ Kristal AR, Darke AK, Morris S, et al. Baseline selenium status and effects of selenium and vitamin E supplementation on prostate cancer risk. J Natl Cancer Inst 2014. 61. ↵ Clark LC, Combs GF Jr., Turnbull BW, et al. Effects of selenium supplementation for cancer prevention in patients with carcinoma of the skin. A randomized controlled trial: Nutritional Prevention of Cancer Study Group. JAMA 1996; 276(24):1957-1963. 62. ↵ Duffield-Lillico AJ, Reid ME, Turnbull BW, et al. Baseline characteristics and the effect of selenium supplementation on cancer incidence in a randomized clinical trial: A summary report of the Nutritional Prevention of Cancer Trial. Cancer Epidemiology, Biomarkers & Prevention 2002; 11(7):630-639.